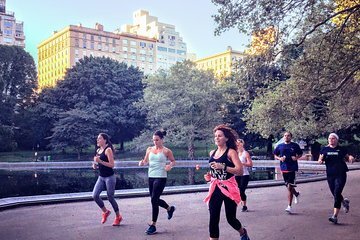 See Central Park on a fun and casual 5K run with a companion-guide. Wind along snaking paths through meadows and woods and over rolling hills in the company of a fellow runner. Get your daily exercise with a dose of history, as you take brief stops along your route to learn about some of the significant sites in this storied Manhattan green space. Loved loved loved the 5k run through central park.. Cat, my guide, was PHENOMENAL! I was traveling with young kids, so my husband could not run with me and I didn't want to run alone.. I was able to run through the park while listening to my guide tell me all about the park and snap a few photos. No better way for a tourist/runner to run NYC!